Thank you so much for joining me on the tour for THE HAPPINESS PACT. I am embarrassingly excited about and proud of this book. Born twenty-seven minutes apart in the same hospital, Tucker and Libby are each other’s first roommates and lifelong best friends. At their thirty-fourth birthday party, Tucker admits that it’s time—he’s ready to settle down with a wife, some kids, and a four-bedroom, two-bath house. Libby’s a little horrified by that, since her wish is for adventure without encumbrance. They decide to devote six months to helping each other fulfill their dreams, and THE HAPPINESS PACT is born. Seventeen and a half years ago, on prom night, she’d been in an automobile accident that killed three people and forever changed the lives of the other nine in the church van they’d used for transport. The losses had caused ripples in the small community of Lake Miniagua that could still be felt all this time later. The wreck had come almost exactly a year after Libby’s mother’s death from cancer, and a year before her father’s suicide. Everything had changed with that painful string of events, naturally enough, but she’d made a life for herself in its aftermath. Although that life was mostly uneventful, she never lost the feeling that any minute now, the other shoe would drop. "I loved this book. It has a lot of things going on in the story. I could relate to many of the issues the characters experienced. The characters are well-developed and I enjoyed getting to know them all and it was easy to feel their emotions. . . . I would highly recommend this book to other readers." "This is a steady moving, well-written story. . . . I enjoyed the writing skill of the author in masking strong language, keeping the read's interest and in creating the characters , along with scenes, which draws the reader "into" the tale. 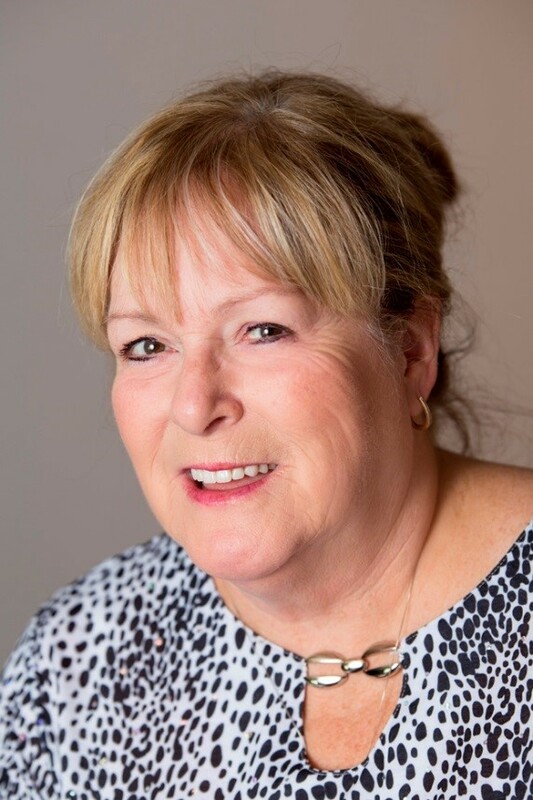 The only thing I found unsettling was it was slightly dragged out, yet done so very well." I think it was a pact. Between Louisa May Alcott, Dorothy Canfield Fisher, Kate Douglas Wiggin, Lucy Maud Montgomery, and a whole host of other writers who wrote exclusively for young people. I think they wanted to fill gaps in lives, incite laughter where there wasn’t enough, and provide a psychological hankie to dry tears no one else knew were being shed. I am still happy when I’m reading. In The Happiness Pact, Libby and Tucker are best friends from the time they were born twenty-seven minutes apart in the same hospital. They fill in the gaps, laugh together long and loud, and ease each other’s pain as they grow up. On their thirty-fourth birthdays, however, when they would have thought they’d learned all the words in each other’s life books, they find out just how wrong they were. Libby wants adventure and Tucker wants a family. How they find their answers, and make their dreams come true, is what The Happiness Pact is about. I hope you like their story. I hope reading it makes you happy. But Tucker didn’t answer her. His attention had already strayed. He went to greet Marie with a hug, seeming not to be in a hurry anymore. 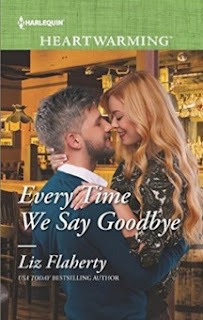 Libby shook her head, ignoring a ribbon of sadness the couple’s seemingly mutual attraction created at the back of her mind. She liked being single, always had, but sometimes it would be nice if someone looked at her the way Tuck was looking at Marie. I loved writing this book. Tucker is gorgeous—he’s also a klutz. 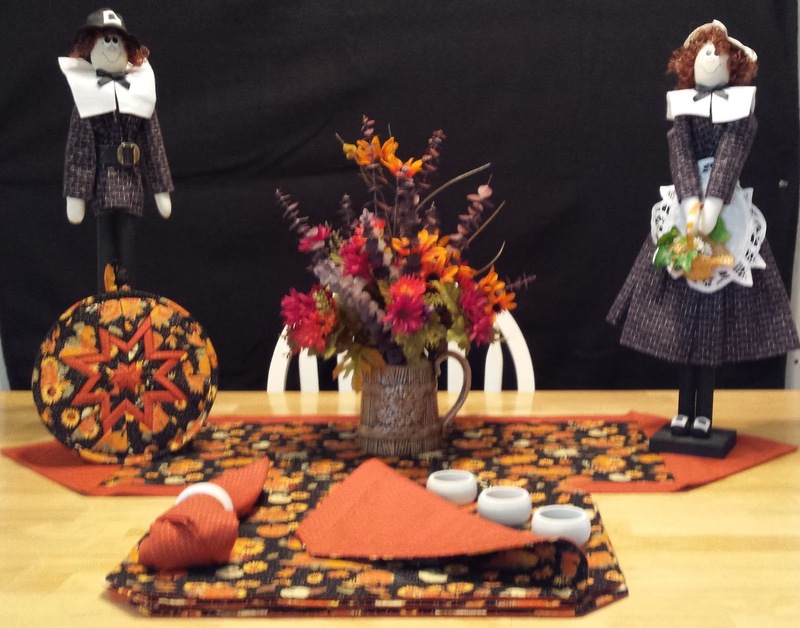 Libby is so ordinary that she fears wearing brown will make her disappear altogether. They made my heart ache, but even before they started down the path of “more,” I loved their relationship. And I think more is the wrong word. Because there is nothing more or better than friendship. And there’s nothing deeper than the friendship between two people who love each other. While it’s wonderful and desirable to have friends who aren’t lovers, who would want a lover who wasn’t also a friend? I think that’s why, when writers talk about tropes and which ones are our favorites, I jump right onto the friends-to-lovers train. "I love stories in the friends to more trope. Know what’s even better? 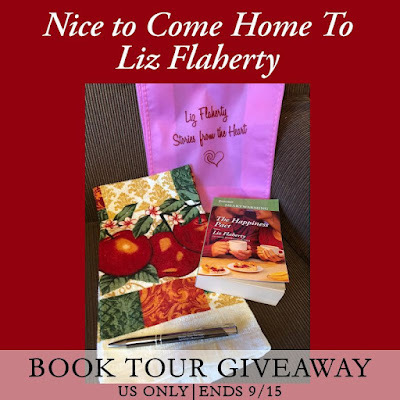 BFFs who have been friends since birth who fall in love with each other, and Liz Flaherty hits it out of the park with The Happiness Pact." "The Happiness Pact by Liz Flaherty is romantic and swoony and sassy and sweet. Tucker and Libby may not think they have any chemistry, but they do! I loved their shared moments, their shared memories, and their shared kisses. A great read with a great message!" Since the title of my book is The Happiness Pact, my mind has gone to all things happy, including the books I’ve read. Choosing a few is a little like picking a favorite child, but I’m going for ten in no particular order. We’ll see how it works out. Let me know how alike—or how drastically different!—our favorites are. 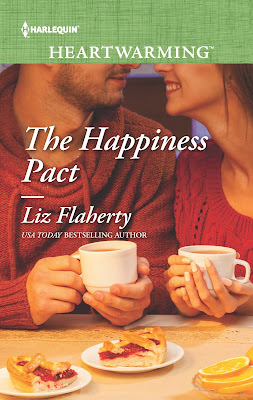 "Huge Dynamite 5 Stars for The Happiness Pact by Liz Flaherty. This was the first book I've read by Ms. Flaherty and I absolutely loved it! Such a wonderfully sweet, heart-warming tale." "The Happiness Pact is an enjoyable romance from Liz Flaherty. . . . The Happiness Pact pretty much has Hallmark movie (or series!) written all over it (they would, of course, take out the depression thread, or tone it down). 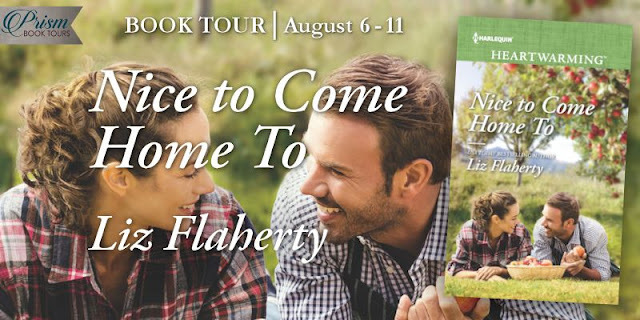 It's an enjoyable read, and I wouldn't hesitate to return to this world that Flaherty has created." When Tucker and Libby go looking for happiness in The Happiness Pact, they find it in unexpected places, such as helping a calf be born in a barn during a blizzard. "My favorite part was when Libby calls Tucker. She's in a bad place and doesn't say anything when he picks up. His answer? "Oh, hi. I'll be right there." That right there is friendship. And that right there? That's love. I enjoyed this book although there were some slow parts. The characters were great and the ending was perfect." 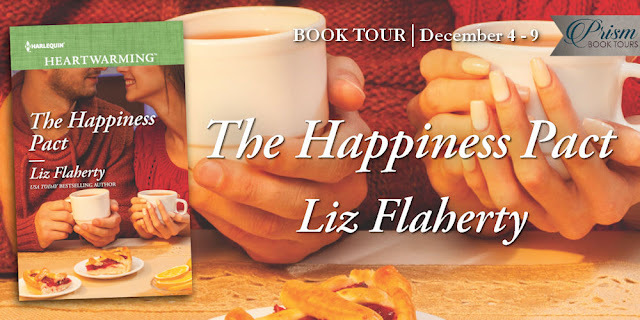 "The happiness pact by liz Flaherty is a great read about friends who become more. . . . This book is so amazing. It touches on some very real emotional issues that may hit a little to close to home for some. I am so glad I got the opportunity to read this one. 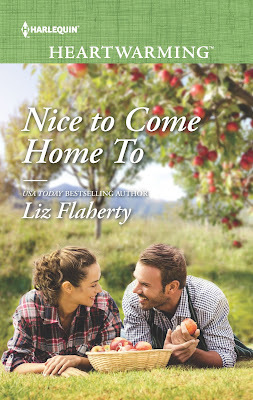 I can not wait for more from Liz Flaherty." 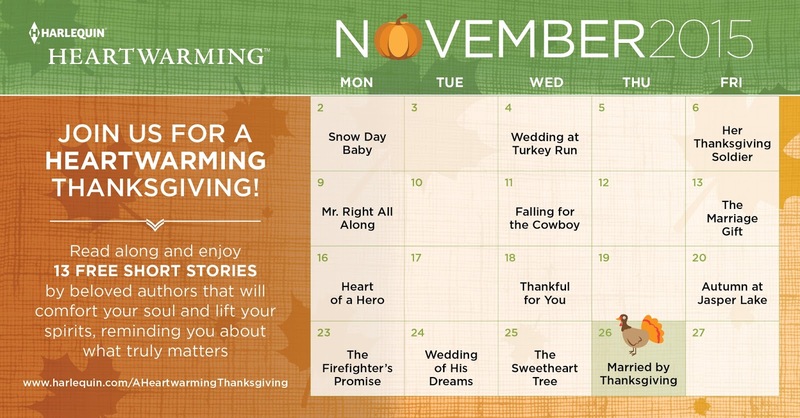 Since I’m not much of a movie person—other than Hallmark Christmas movies, which could be several blogs unto themselves—a friend suggested a list of the movies that made me smile. 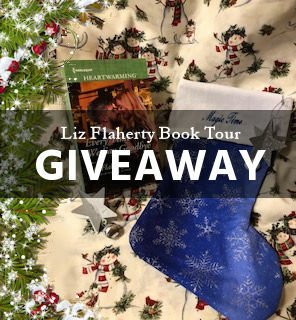 The catch is, #One, I’m not a movie watcher and #Two, in order to be entered to win a Christmas stocking with a book in it, you need to post with a movie that makes you happy. Or more than one will be fine, too, but just one entry. I’m sorry, but the drawing will be US only, although if the name selected is from outside the country, I’ll be happy to send a download. So, here’s my list. In no particular order, because I’m way too linear as it is—I’m going to be a little wild and crazy. 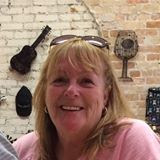 OTHER THAN AN addiction to coffee and tea, Libby wasn’t much of a drinker, but she loved the bourbon-laced hot chocolate that was a specialty of Anything Goes Grill. She usually had just one, and even then only on special occasions. Like when the Miniagua High School Lakers had won the football sectional in November or when the tearoom had ended the previous year not only in the black, but in the very black. Even more occasionally, if she was out with friends and one of the others was driving, she’d have two mugs of the delicious concoction. They always sat at the bar and begged Mollie for the recipe, but she never gave it. Libby tried to duplicate it every time she filled in for the bartender but hadn’t yet mastered it. She had never had more than two hot chocolates from the Grill. All the presents—mostly gag gifts but some not—had been opened. Midnight, complete with many champagne toasts and a cacophonous rendering of “Auld Lang Syne” and the birthday song as a medley, had come and gone. Jack’s fiancée, Arlie, who was the resident designated driver, had confiscated Tucker’s keys. The Grill emptied quickly. By twelve thirty, there were fewer than a dozen people at the tables, four or five more at the bar. She’d forgotten the hearing loss that made him tilt his head. It made him seem exceedingly adorable, especially after she’d partaken of three mugs of the Grill’s chocolate. Rather than raise her voice, she moved to sit beside Tucker in the chair her brother, Jesse, had vacated when he’d left a few minutes past midnight. Libby repeated her birthday wish. Guest Post by Liz Flaherty, Free E-books, Discount & Giveaways! So I went for it. I sat at the kitchen counter in the condo we rented that winter and let the story take me to an Irish pub in Vermont. I was in Northwest Florida avoiding a terrible winter in the Midwest, but my heart was in the Northeast Kingdom. I made a discovery then, that not only were these books heartwarming to read, they were heartwarming to write, too. My first Heartwarming, Back to McGuffey’s, was released in October of 2014. I still gush over its cover. (Actually I gush over most of our covers—they are beautiful!) My next release will be Every Time We Say Goodbye in April of 2016. And I hope I get to write many more of them. 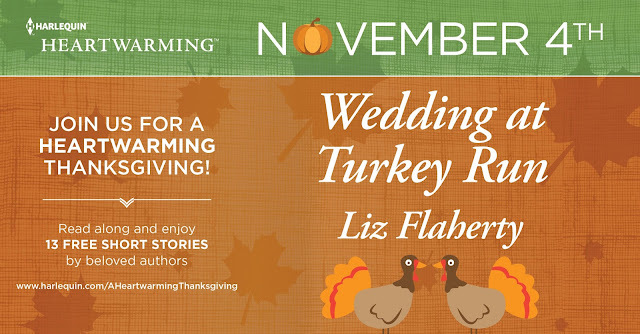 Jenny and Zeke are united by their suspicions when her grandmother and his grandfather decide to get married at Turkey Run State Park over the Thanksgiving weekend. Before the weekend and the wedding are over, they are united by much more. Could Kate Rafael's day get any worse? First she lost her job, then her house burned down and now her ex is back in town. Apparently, Ben McGuffey's taking a break from being a big-city doctor to help at his family's tavern and reassess the choices he's made for his career. Ben ends up giving Kate a hand...then giving her kisses...and finally, a second chance. But when a local teenager shows them both a glimpse of what it means to be a family, Ben wonders if having kids in small-town Vermont would clash with his ambitions. Or can he truly come home again...to Kate? 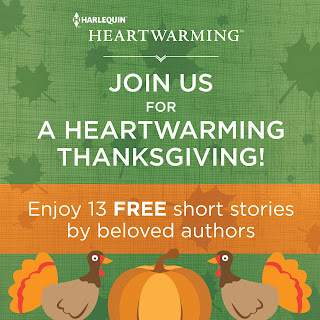 We'll be highlighting 13 FREE short stories by beloved Harlequin Heartwarming authors that will be available from Harlequin during November via their site.